Trousers London are a brand that’s popped up a few times here on Denimology and are known for being a favourite of fashion designer Matthew Williamson. 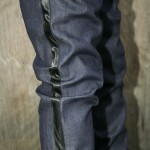 The latest addition to their deluxe roster of denim, the T11 is their smartest and most luxurious pair of jeans to date. 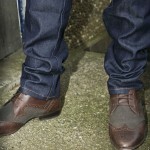 I went to put them to the test trying out a pair of their T11 in the standard 32″ waist fit. 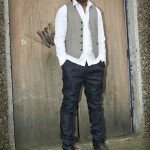 My initially reaction is the jeans are slightly larger than the true size, especially for an unwashed, raw finish. Saying that, I have no idea how to even describe the fit. I suppose you could liken them to a carrot fit without the rise and seat of a carrot fit, if that makes sense. 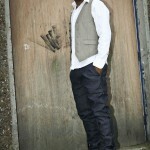 From the knees down its a slim tapered fit with a tight leg opening around 7″. The crotch however and seat are as a baggy carrot / loose fit being pulled together by two parallel pleats on either side of the fly so they still fit snug to your waist. Very interesting, very unique. 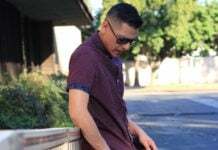 The material is 99% lightweight denim, 1% elastane and so remain comfortable and light to wear with a slight stretch, allowing you to move significantly more freely than jeans of a similar fit…of which there isn’t many. They’re called Tuxedo jeans for a reason. Just have a look at the outside seams and you’ll see why. 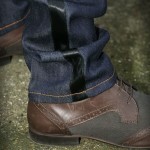 A single satin braid runs down both outer leg seams, no selvage here! 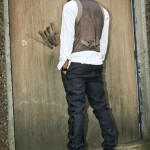 They also feature traditional tuxedo-esque front angled pockets and again, the front pleats we’ve already mentioned. 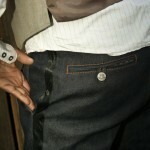 I’m also a big fan of the naughty rear pocket lining that just peeps through under the button down pocket flaps. 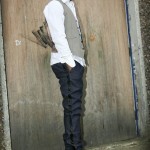 I’m always impressed with the quality and innovation in design with Trousers London. 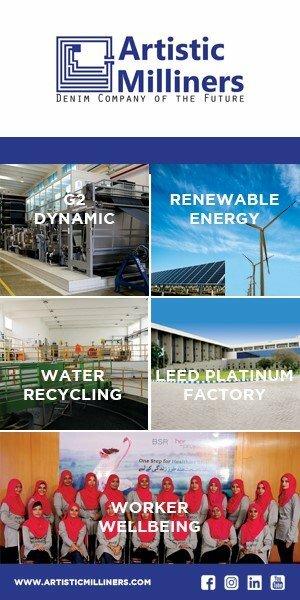 Have a look through their site to see what I mean. High quality, organic, raw denim sourced from Italy. I’m not going to lie. These definitely are not my everyday jeans, but I really do love them. 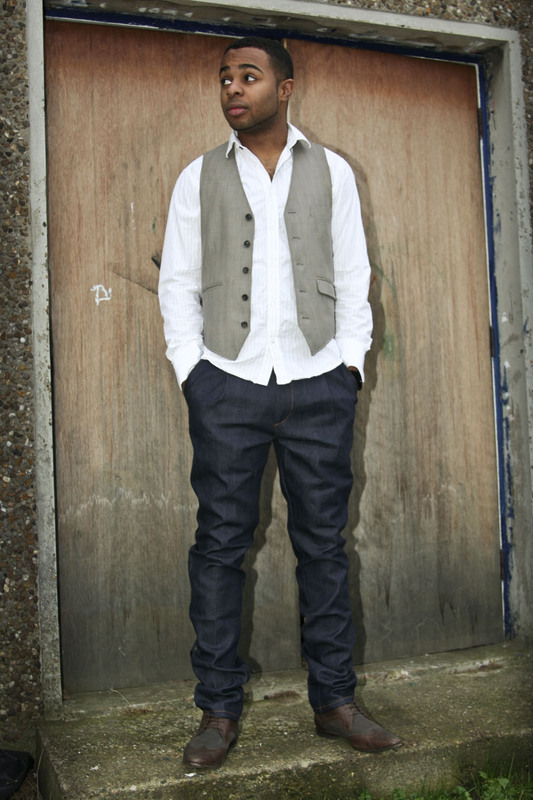 If you’re into styling things up for nights out then get yourself a pair right now. I’m much more simple then that. Give me a pair of jeans and a t-shirt any day. Don’t get me wrong, I’d still go out in these and the innovation is really incredible. Just keep them for nights when you want / need to impress. 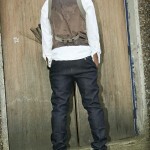 The Trousers London T11 reviewed here are available online from TrousersLondon.co.uk for £225.